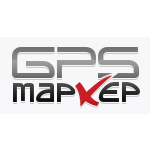 M-Plata is a russian GPS hardware manufacturer which produces tracking devices under "GPS marker" trade mark. The company is headquatered in Moscow, Russia. The chart below shows the changes within the last 30 days in the number units of M-Plata devices type are connected to Wialon Data Center.